Asphalt paving is the perfect choice for many homes and businesses. Compared to concrete, asphalt is less expensive and easier to maintain. Asphalt is a more sustainable material. Cracks in asphalt can be filled and the surface can be sealed every few years. 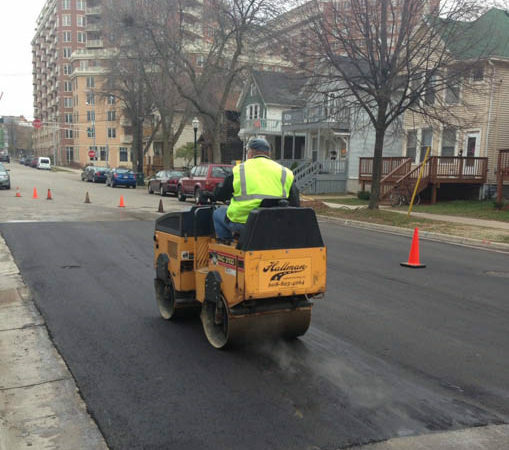 Even with the varying Wisconsin climate, asphalt remains strong, yet flexible and the black color absorbs heat, helping snow melt faster. If your current parking lot or driveway is getting up there in age, sometimes repairs no longer make sense. There comes a moment when it’s time to tear out the old, and replace with the new. We can do that for you. 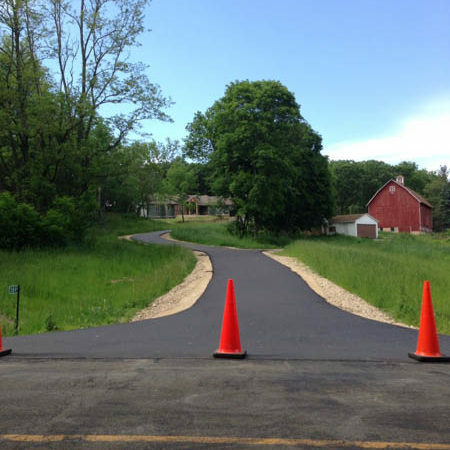 Since 1976, Hallman Asphalt & Sealing has been paving parking lots, driveways, and other asphalt surfaces. We’re familiar with the benefits and drawbacks of both concrete and asphalt paving. We’ll be happy to help you make the decision that’s right for you. With decades of experience, we and our partners are ready to tackle any job, any size. A proper base is critical. Read about our base work. 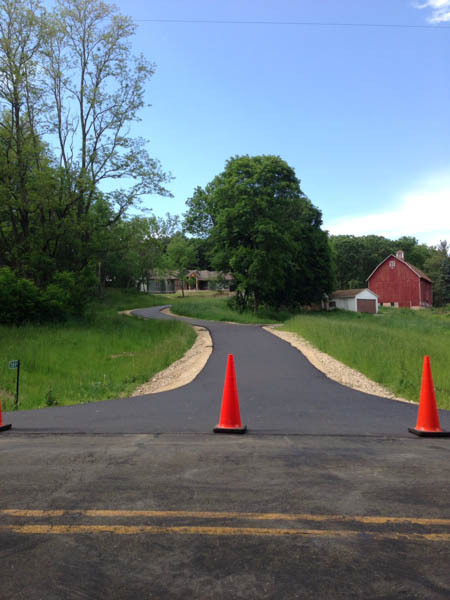 Your new asphalt driveway will take between six and 12 months to cure completely. We suggest rotating parking spots from day to day, to avoid leaving tire indentations. 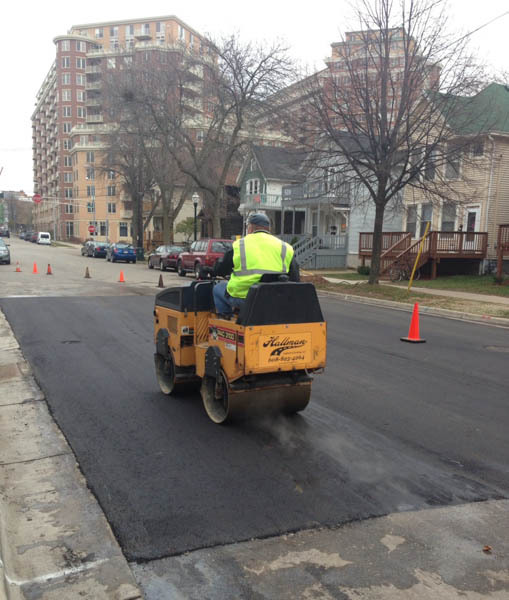 Throughout the day, temperature changes will affect the hardness of your blacktop. Lawn chairs and kickstands may leave unintended marks in the asphalt’s surface. Long term parking of RVs and trailers should include plywood under the receiver and tires. 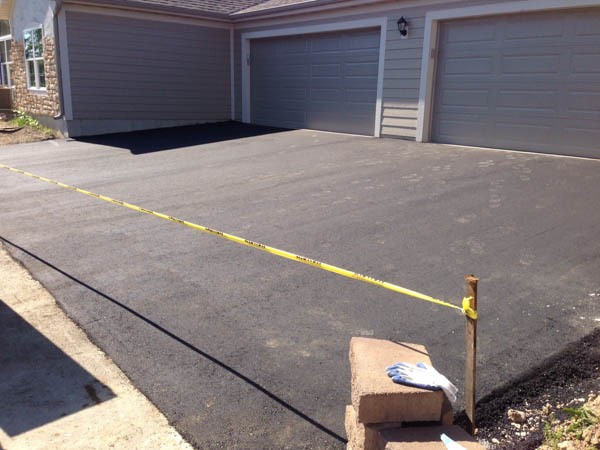 Once your asphalt is installed, look to Hallman Asphalt & Sealing to protect your investment, and make it last for years. We do seal coating, crack filling, patch work, pothole repair. And, yes, we do base work and line striping. We even do concrete repair and replacement. See a complete list of services here. We care about our customers—they aren’t numbers to us; they’re names, they’re faces; they’re friends. We have the experience to tackle any challenge, but we’re not so big that we’ve forgotten that it’s you that brought us here. We’re in business because we take good care of our customers.